Good quality cookware is an integral part of healthy cooking. Therefore, it is crucial to know that the best cooking material for your kitchen. The most popular materials in a majority of households are cast iron, stainless steel and aluminum utensils, but we often forget one of the ancient metals which has been in existence for more than 9000 years and i.e. copper. 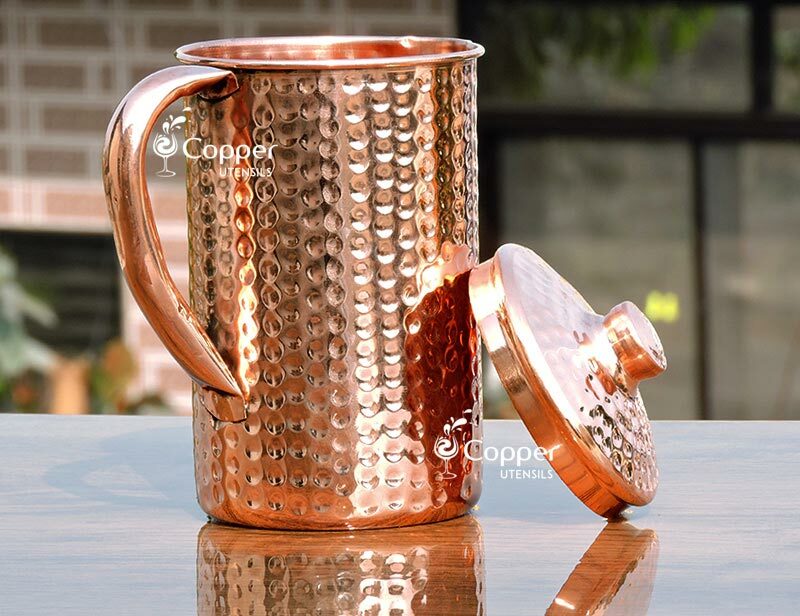 Using copper vessels has various benefits especially health benefits. Copper is naturally present in our body in small amounts and is very crucial for the healthy functioning of the brain and liver. During the ancient era, copper was a popular choice for making utensils. With the passage of time and technological development, this ancient metal has only turned into a decorative item only. Copper is a ductile metal and is easier to mold in the required shape. Along with that, it is also a good health and electrical conductor. The metal is also highly durable, hygienic and corrosion resistant. As compared to other cooking materials, heat distributes evenly at all parts of the copper pan. As compared to iron, copper conducts heat 5 times better and 20 times more as compared to stainless steel. This means that you are less likely to burn your food. You can also save a lot of energy as copper heats up very quickly and thus saves you a lot of energy. Copper water vessels, on the other hand, work great for purifying the water. 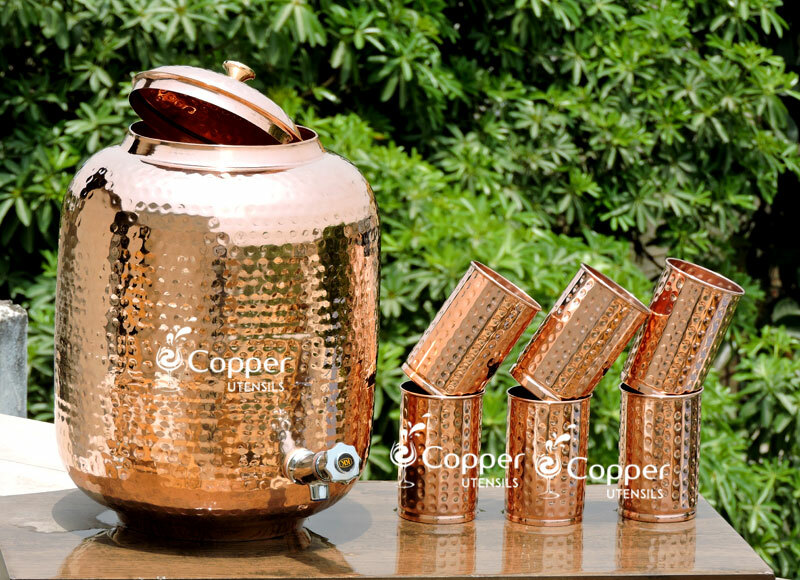 Copper has naturally occurring anti-bacterial properties which make it the perfect option for storing and drinking water. Copper has the potential to kill waterborne bacteria like E.coli and S.aureus when stored in a copper vessel for 7-8 hours. What positive effects does copper have on your health? • It helps the body to break down fat cells and improves the digestive system, which helps with better weight loss. • Improves the functioning of kidneys and liver, cleanses the stomach, helps with proper absorption of nutrients and is also a great remedy for indigestion, ulcer and stomach infections. • It regulates blood pressure, lower bad cholesterol and triglyceride level and beats hypertension. • Aids with the regeneration of cells thus help in healing wounds faster. • It also fights free-radicals effectively. Its cell forming and anti-oxidant properties slower the process of aging. • Copper deficiency may cause anemia, low melanin production and thyroid disease. Cooking food in copper pots or drinking water in copper water bottles will help fight the deficiency.